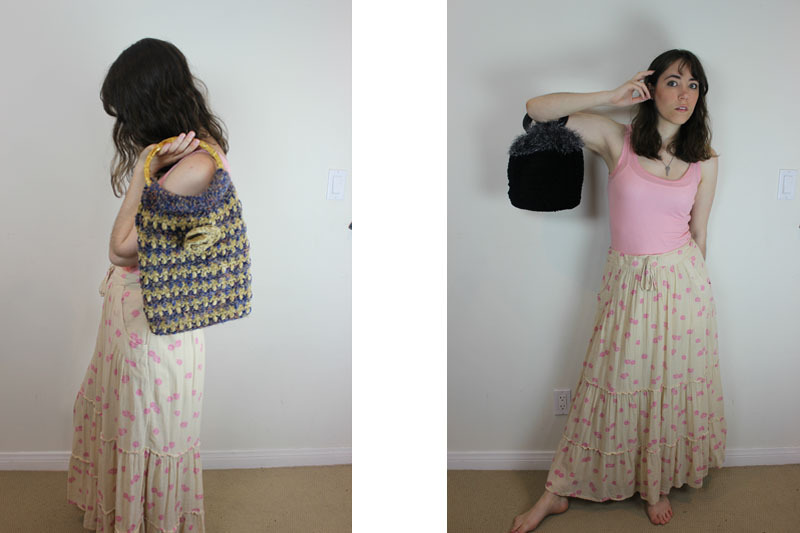 OOTD - a boho shirt, pink tank top, and some knitted purses from my Etsy shop. 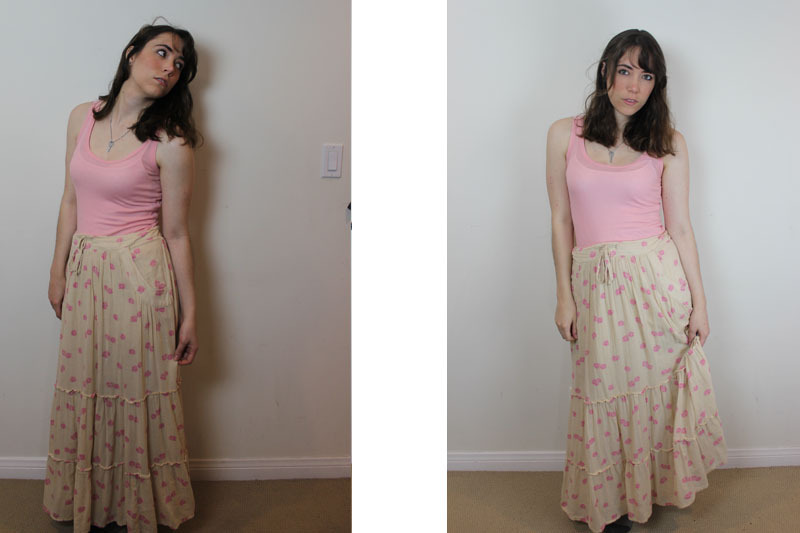 I think I'm getting better at this 'modeling for fun' thing. 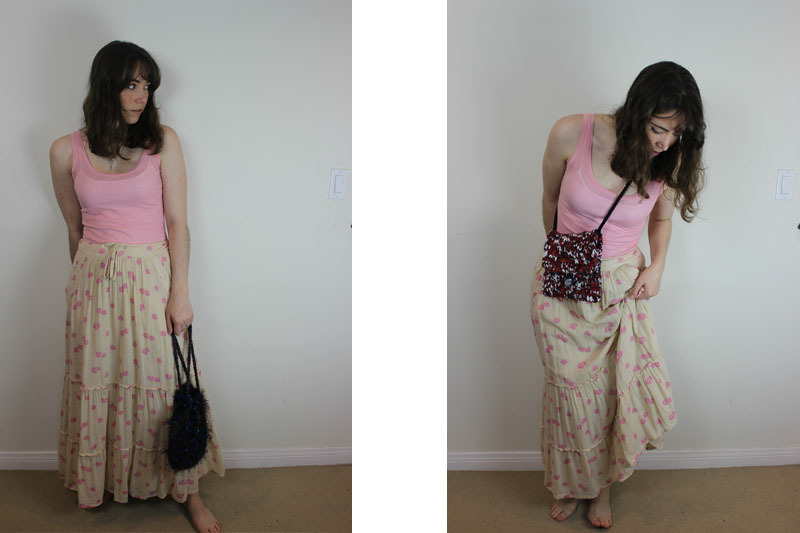 Also, the skirt has pockets!